The Czech Army currently deploys two types of 120mm mortars: the Mortar 120 mm PRAM L, type 82, which is a standard vehicle-towed mortar, and the Self-Propelled 120 mm Mortar PRAM S, type 85 (SPM-85 PRAM), a self-loaded mortar system mounted on an elongated BVP-1 (BMP-1) carriage. 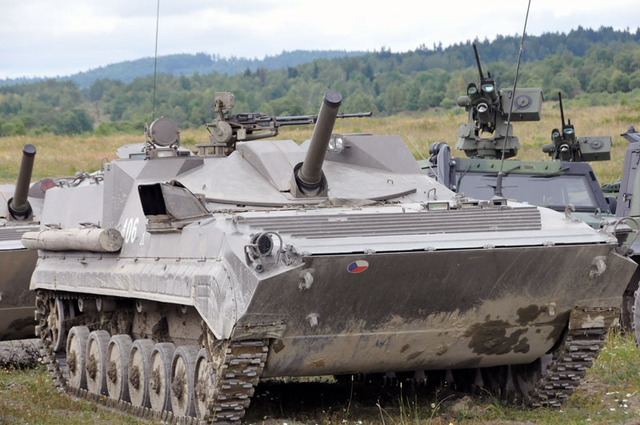 There are only eight vehicles in service with the 7th Mechanized Brigade, and the Czech Republic is seeking a new 120 mm self-propelled mortar system, an effective and maneuverable fire support vehicle to replace the SPM-85s and to strenghten fire support elements of both the 7th (Mechanized) and the 4th (Rapid Deployement) Brigades. The Self-Propelled 120 mm Mortar PRAM S (PRAporní Minomet for Battalion Mortar; S for Self-Propelled), type 85, is designed to provide permanent fire support for a mechanised infantry battalion against enemy manpower, anti-tank assets, lightly armoured targets, and light field shelters. It is characterised by a high rate of fire and high manoeuvrability in terrain. It has a filter and ventilation system that enables the mortar to pass contaminated areas while conducting combat activities. It is fully amphibious. The armoured space for the crew provides adequate protection against small arms fire and fragments of artillery shells. Auxiliary weapons can comprise the 9K113 Konkurz (SPANDREL) anti-tank guided missiles (ATGM), the NSV 12.7 mm air-defence machine gun and portable anti-tank RPG-75 grenade launchers. The main weapon provides fire support to the maximum range of 8,000 m at 18–20 rounds per minute. Only 12 vehicles were produced in 1990, four of them served in Slovakia after Czechoslovakia split in 1993. Eight PRAM S mortars are operated (together with 4 PRAM L towed mortars) by the mortar battery of the 72nd Mechanized Infantry Battalion based in Přáslavice, Olomouc Region; an element of the unit (with PRAM Ls) recently joined the NATO enhanced Forward Presence Battlegroup Latvia. A large acquisition project is being prepared to purchase 62 self-propelled mortars. 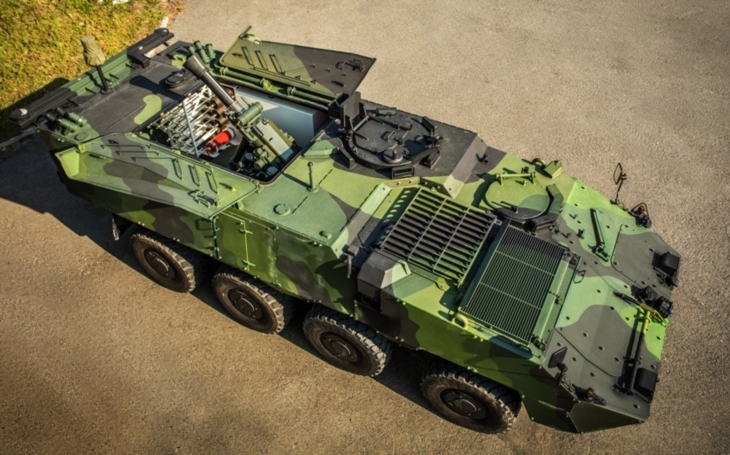 The tender process is expected to commence in May 2021 with a potential contract signature late in 2021 and deliveries to run from 2023 through to 2025, according to Lieutenant Colonel Martin Šufajzl quoted by janes.com after the Omega Conferences and Events Mortar Systems conference held in Bristol, United Kingdom, in March 2018. 62 self-propelled mortars in total. Obscurant smoke coverage around the vehicle. Protection against artillery shrapnels and infantry weapons. Collective automated CBRN (Chemical, Biological, Radiological and Nuclear) protection. The preference is for a turret-mounted mortar system (direct fire requirement), yet there would be other options such as the Swiss RUAG Cobra turntable-mounted mortar, or the self-propelled 120mm mortar on Pandur II CZ unveiled by Tatra Defence Vehicle (member of CSG) last September during the NATO Days in Ostrava. It is a Pandur II CZ fitted with a Soltam Cardom 120 mm caliber mounted at the rear of the vehicle. It has a traverse of 360°, can fire from inside or from outside of the vehicle. In the vehicle, it fires through tow roof hatches, that open on each side of the vehicle, like the U.S. M1129 Mortar Carrier (Stryker).